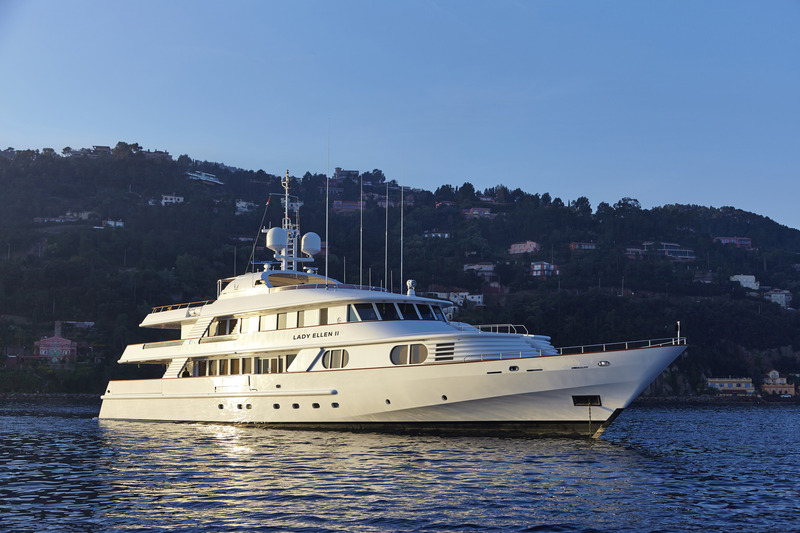 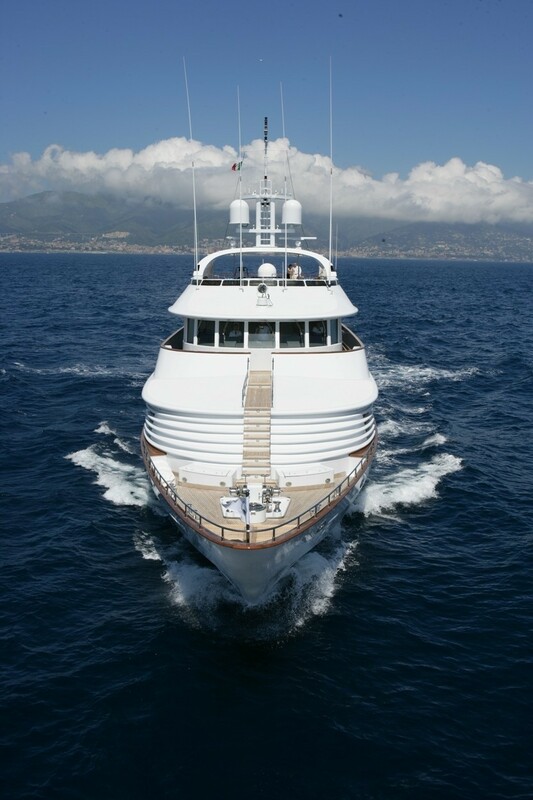 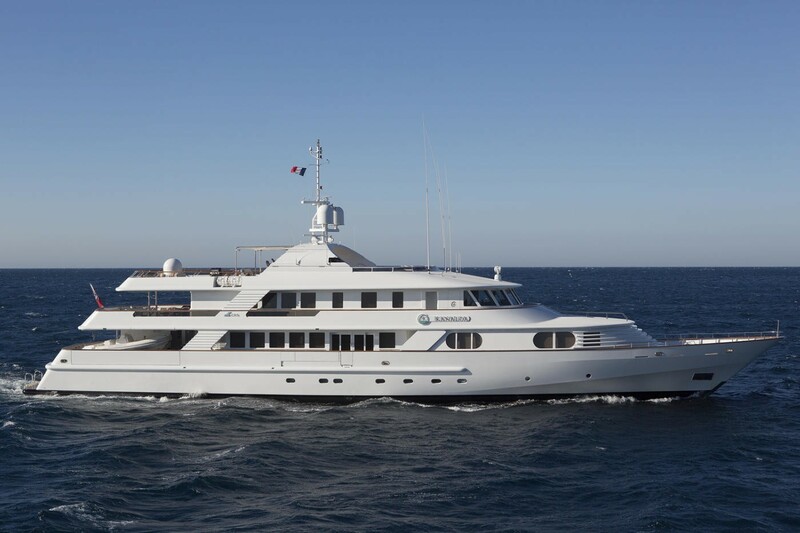 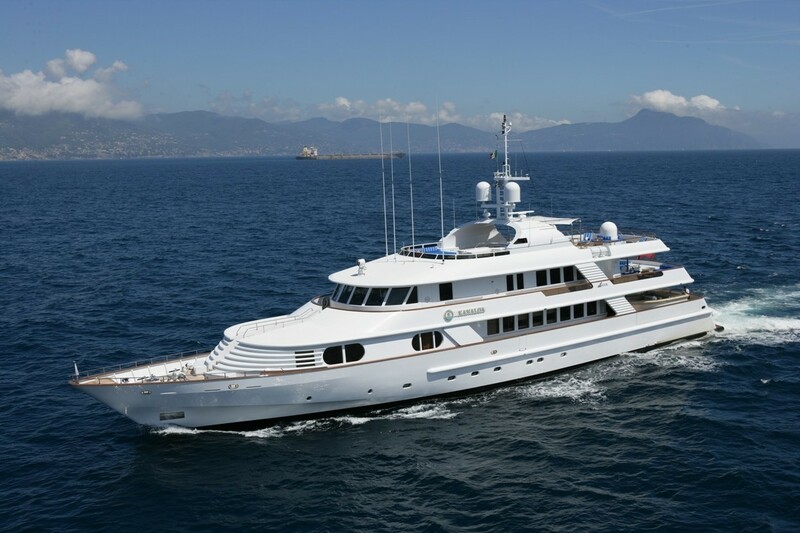 Motor yacht LADY ELLEN II is a lovely CRN motor yacht built in 1996 and refitted in 2005/2015. 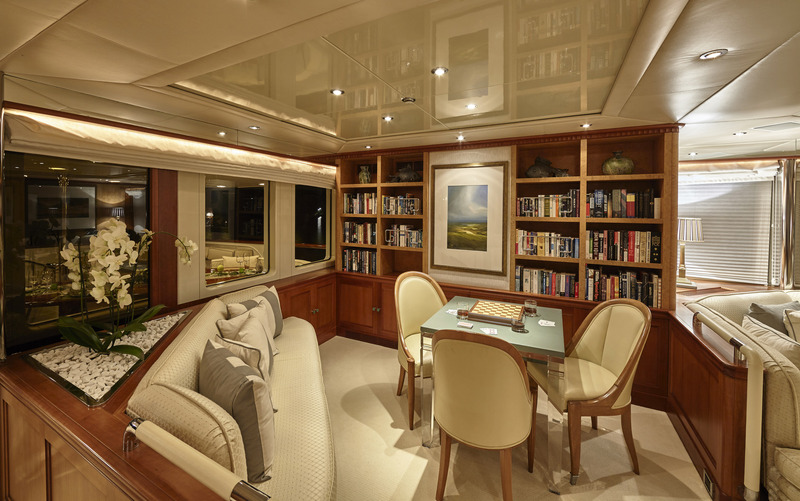 Her Zuretti designed interior can be described as subtle and understated yet exceptional and it generates a calm ambiance, perfect for relaxation and holiday making. 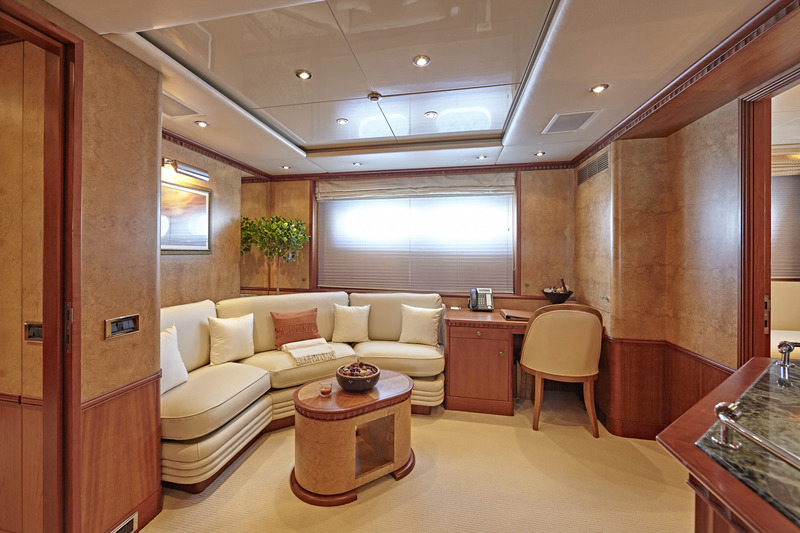 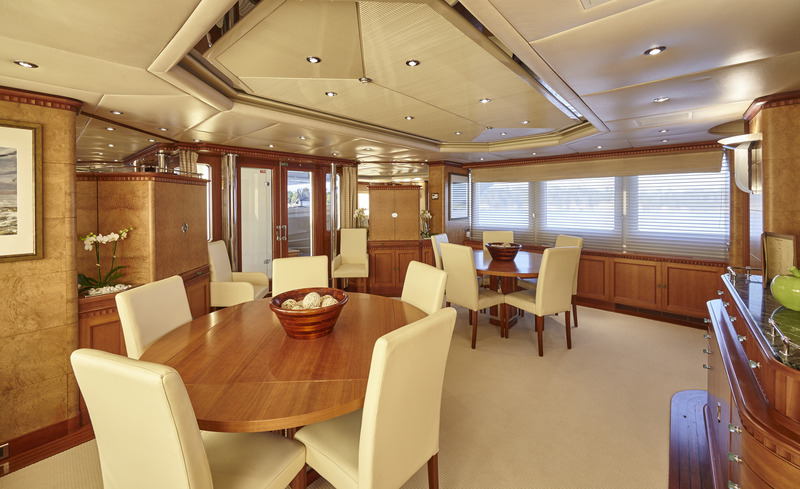 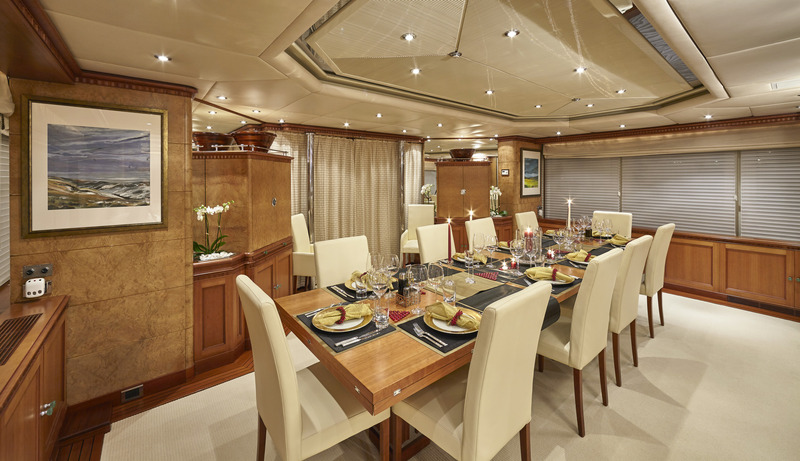 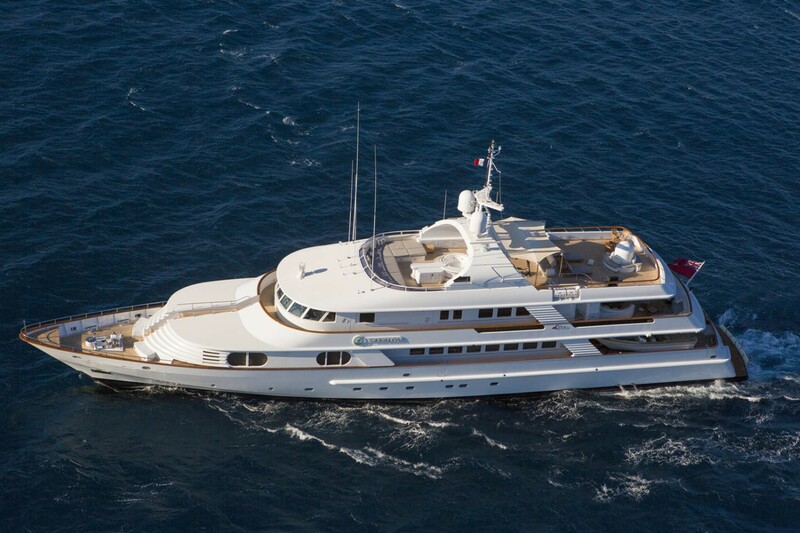 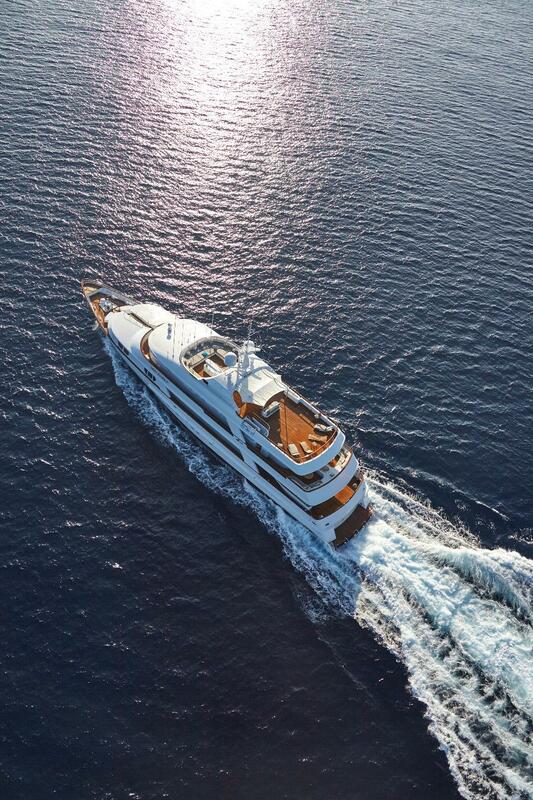 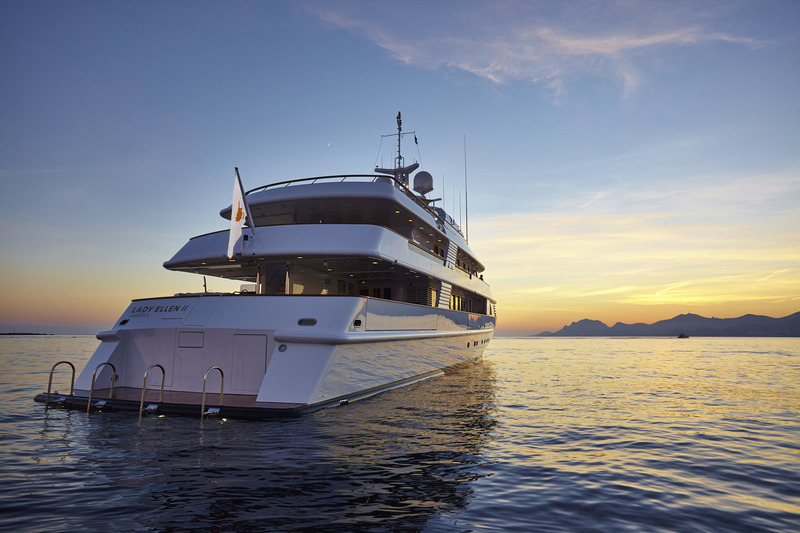 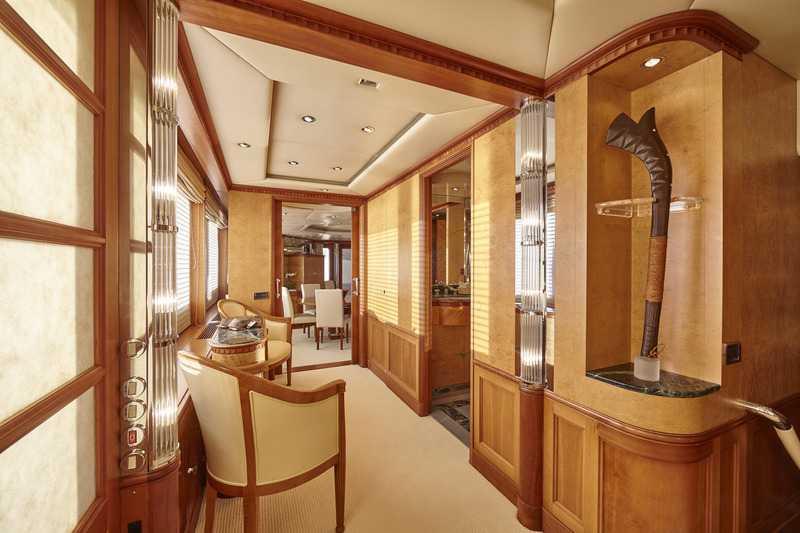 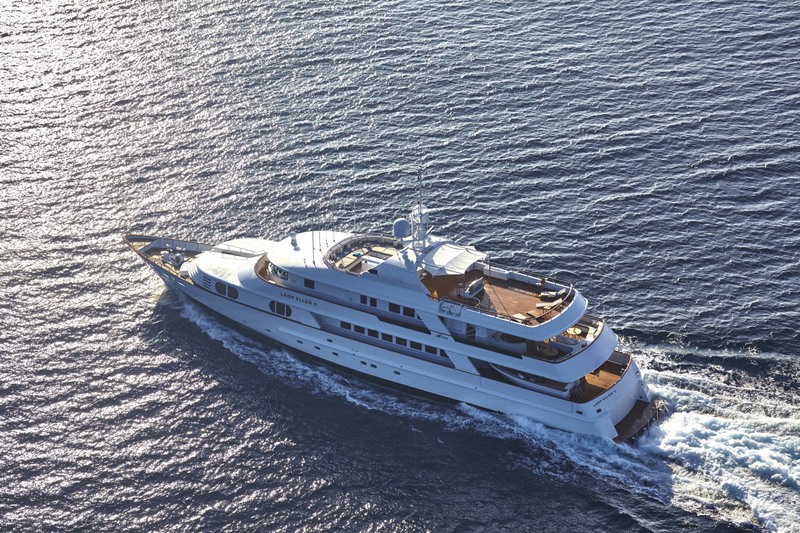 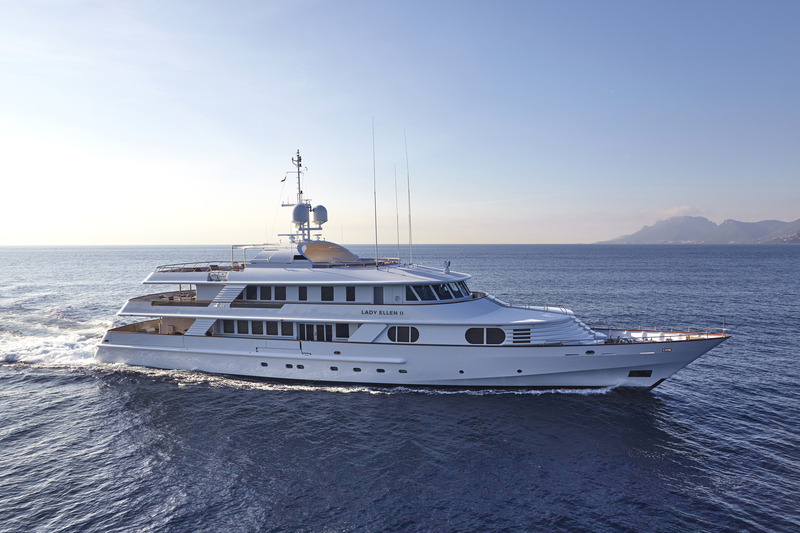 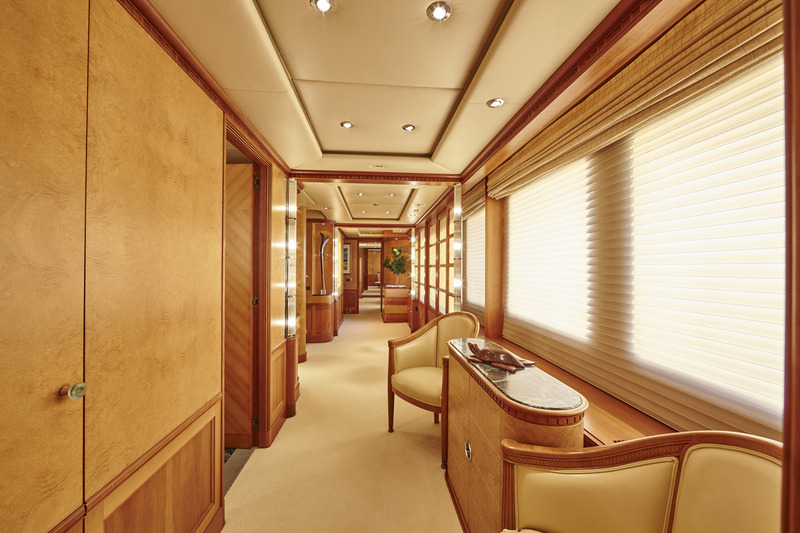 LADY ELLEN II offers an interior with high standards of finish. 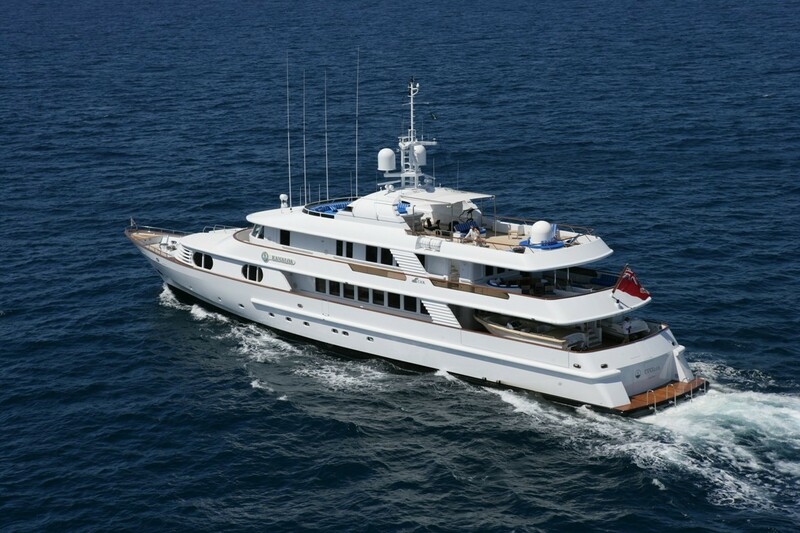 Her exterior styling is by George Nicholson. 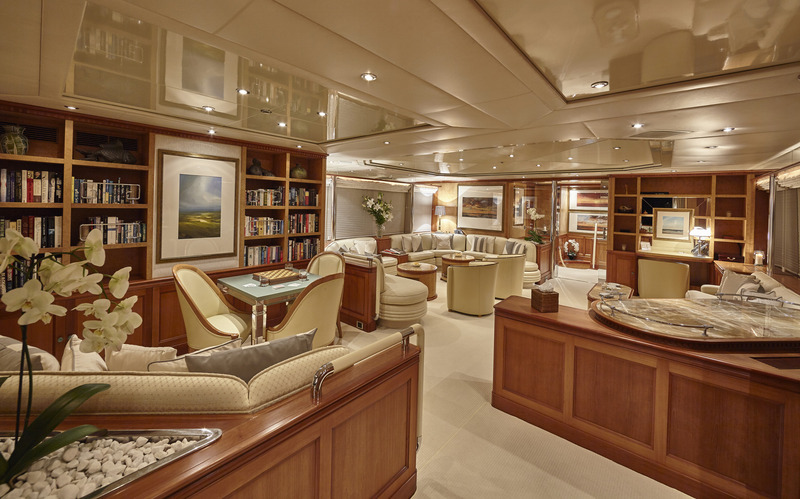 The luxury charter yacht features a generous salon on the upper deck, offering ample seating, sofas, coffee tables and games tables. 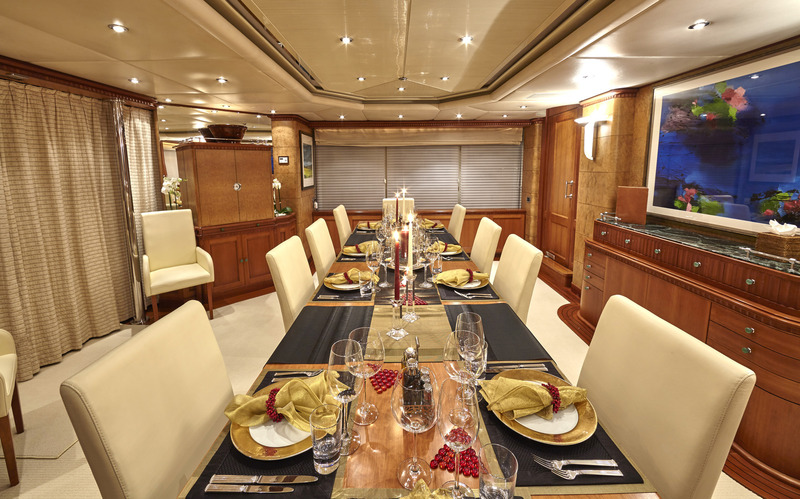 On the lower deck is the formal dining area aft and full beam master stateroom with private study forward. 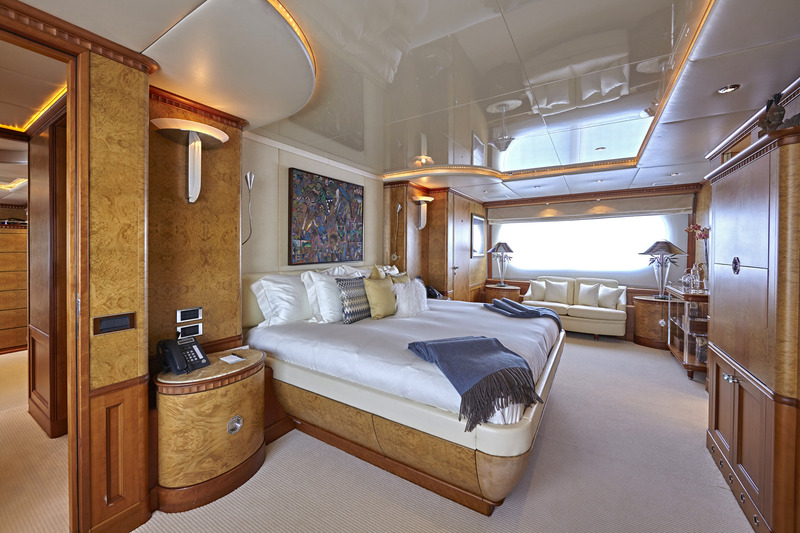 On the port side main deck is a guest cabin with double bed. 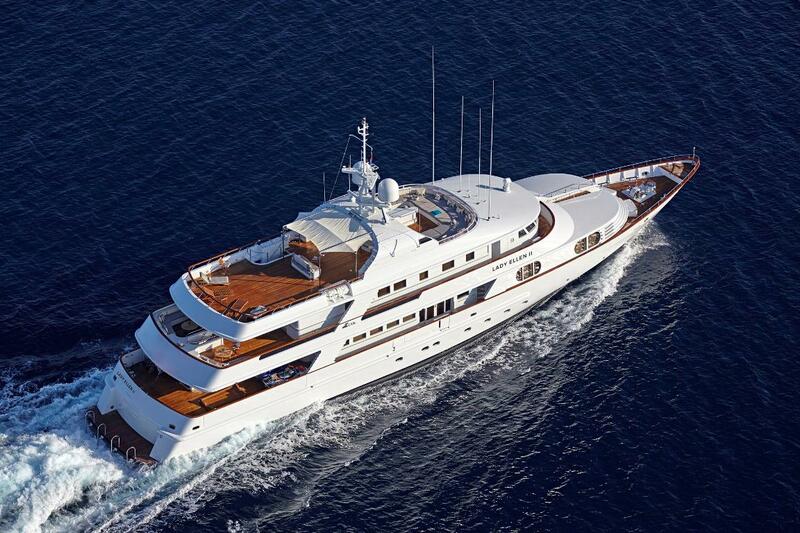 She boasts a single cabin on the upper deck. 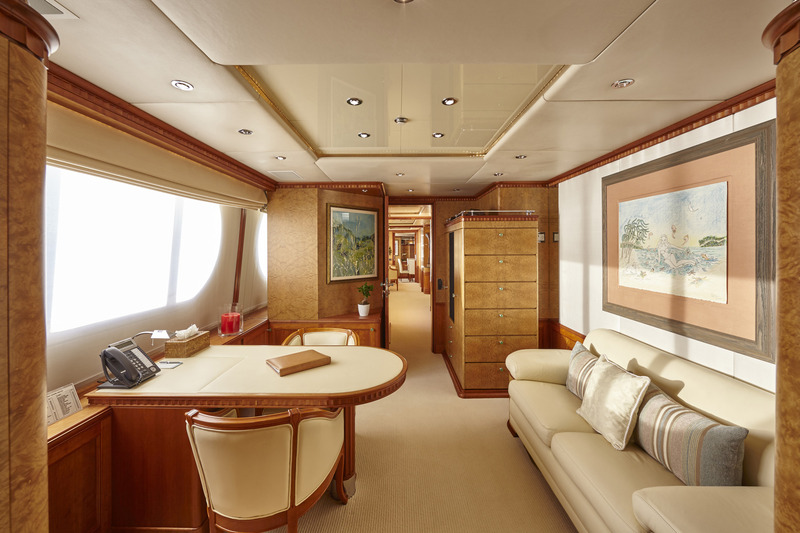 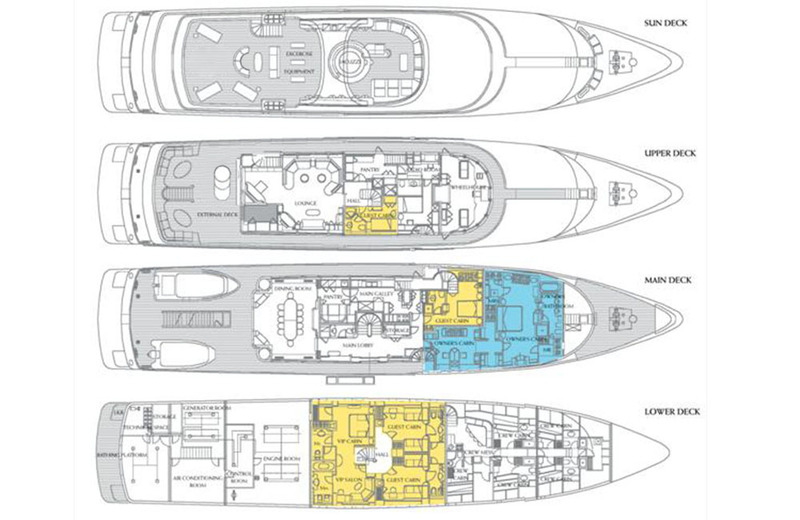 On the lower deck is the full beam VIP cabin, with study and sofa, plus 2 spacious twin cabins. 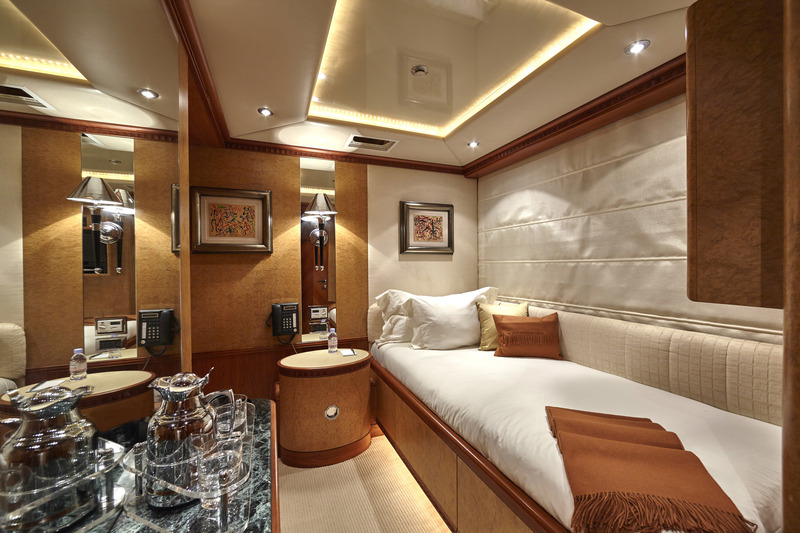 All guest cabins are light, contemporary and offer private en-suite facilities. 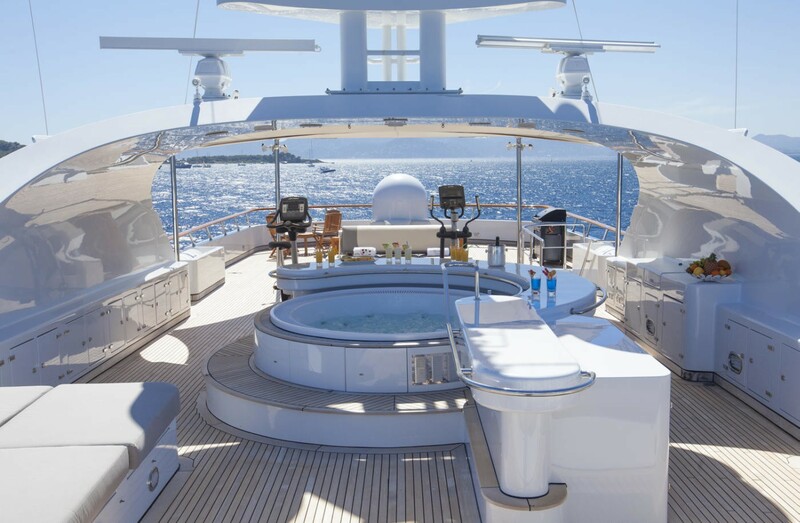 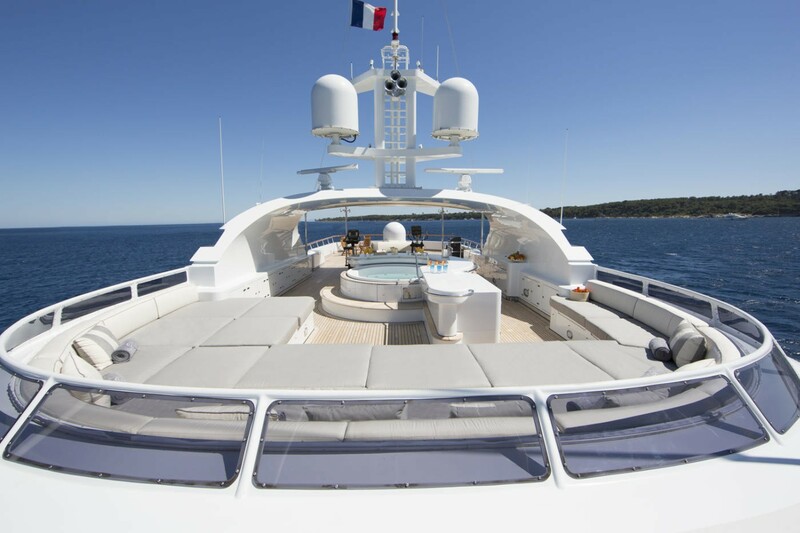 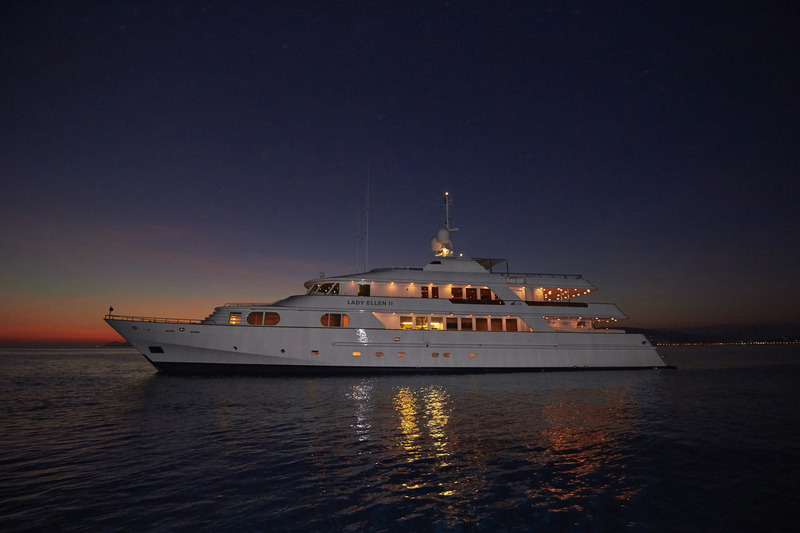 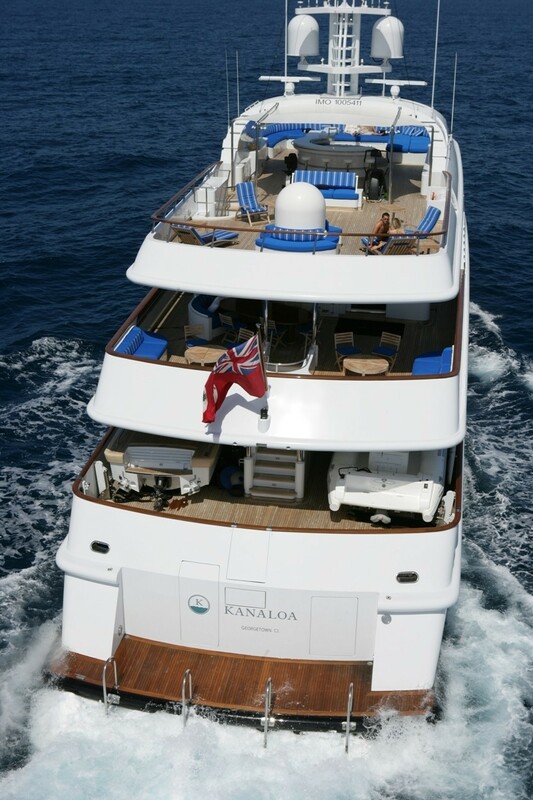 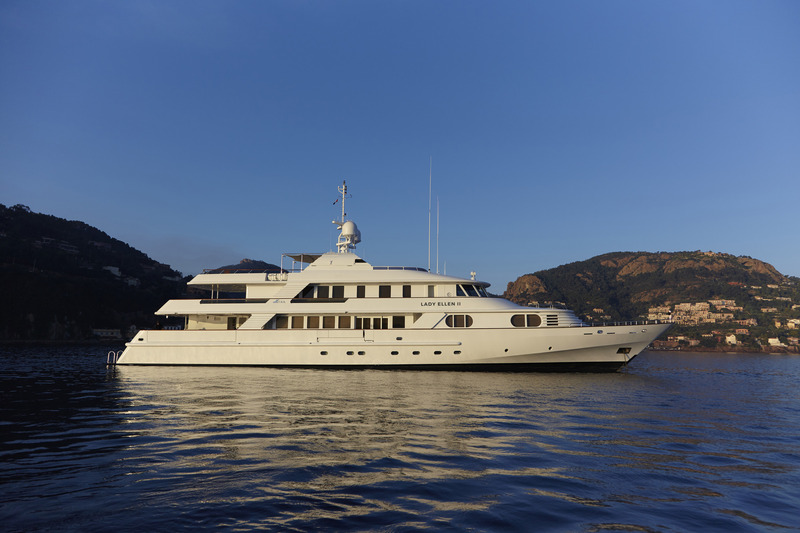 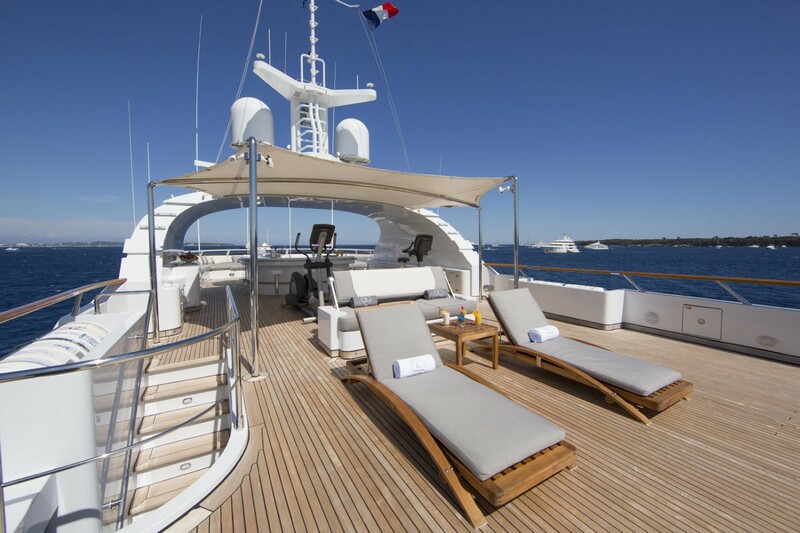 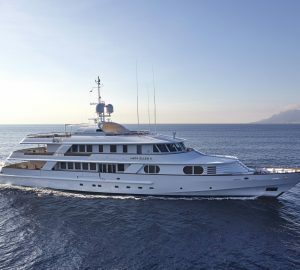 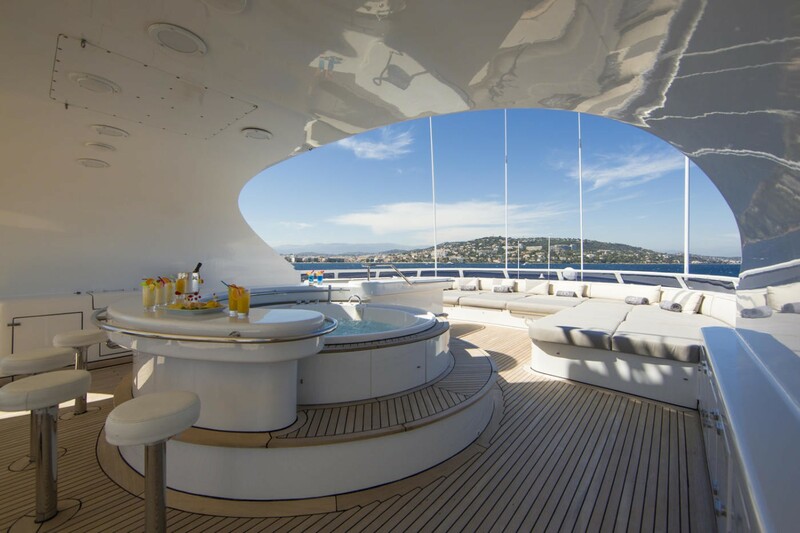 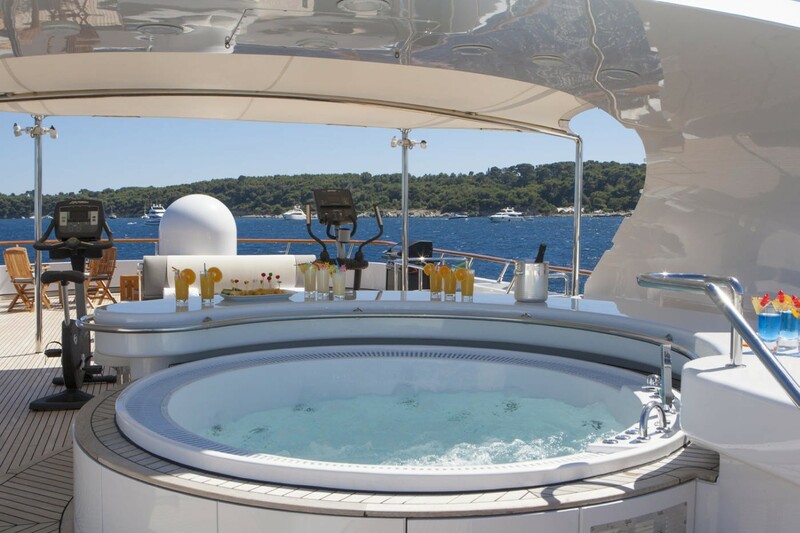 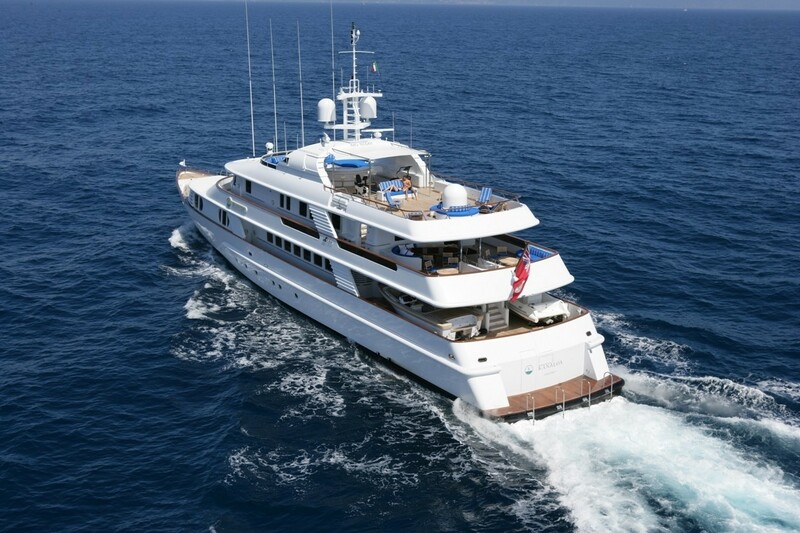 LADY ELLEN II also has great deck areas and many appealing attractions, such as a Spa Pool, huge sunbathing pads and a bar area on the top deck - with a subtly designed satcom arch and awning for some welcome shade. 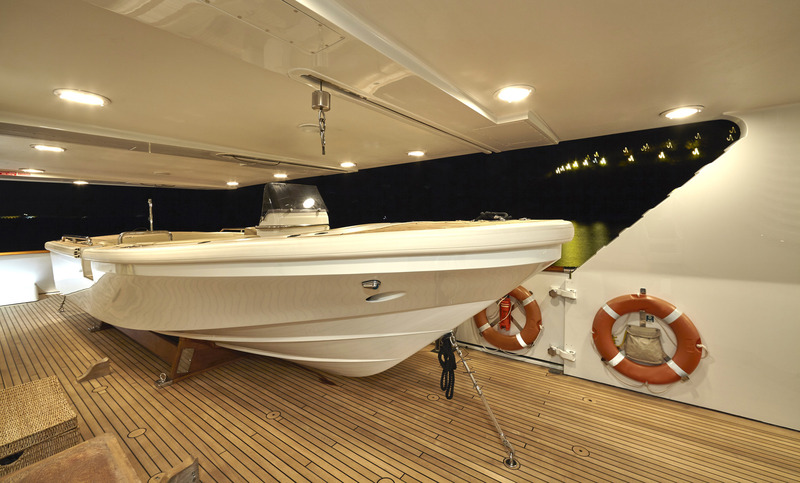 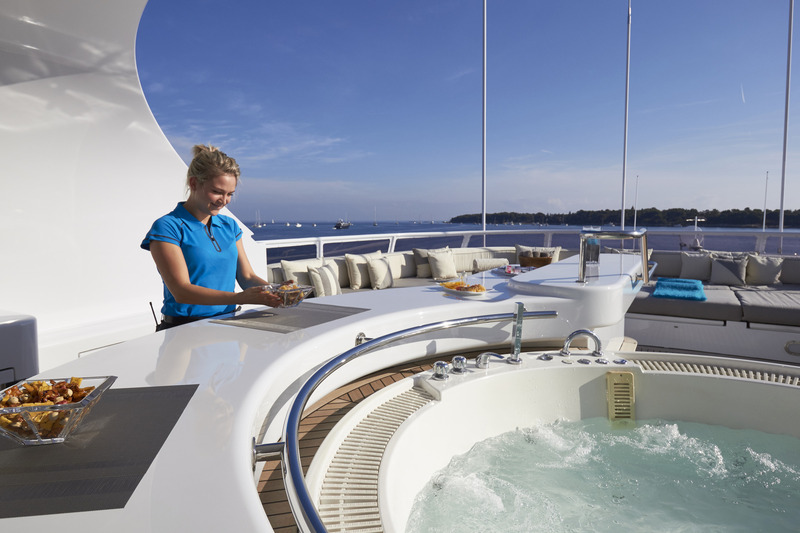 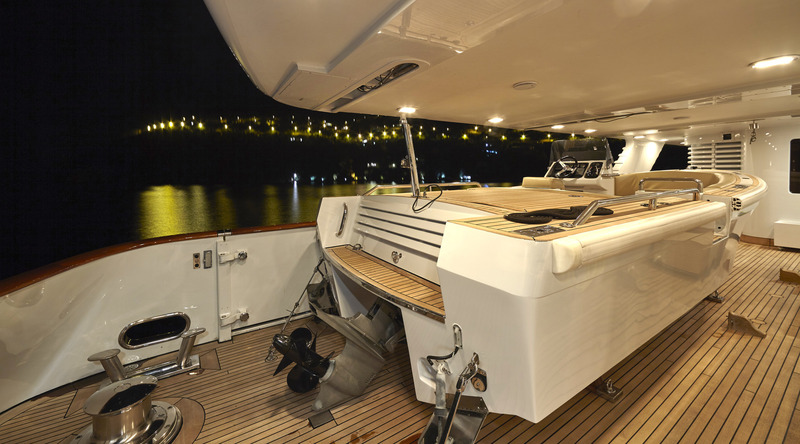 On the main deck aft is the tender area, followed by an extended swim platform, enabling effortless water toy access. 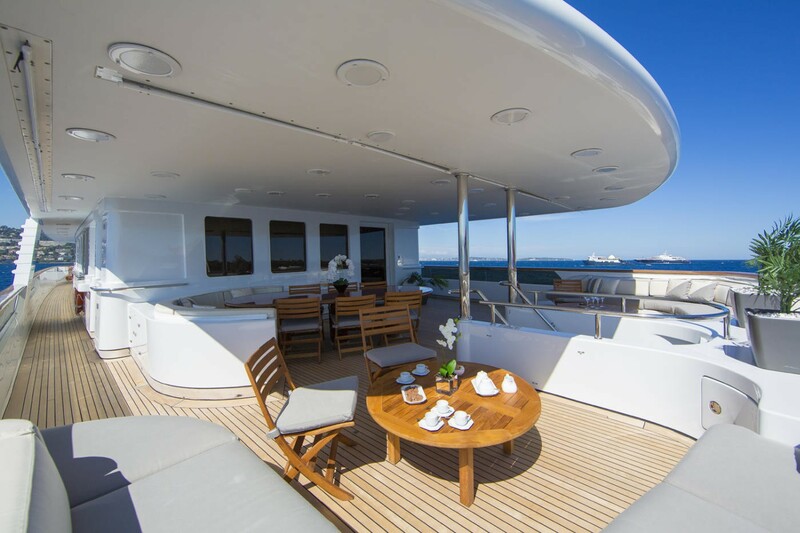 An exterior staircase leads directly to the upper aft deck, outside lounge and alfresco dining option. 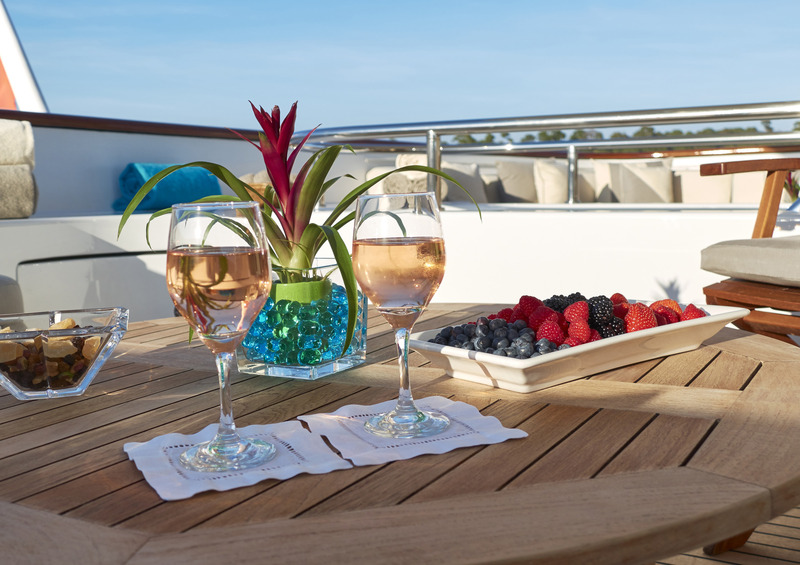 On the port side is another staircase taking guests to the capacious sundeck, complete with wet bar, chaise lounges, seating, sunpads and deluxe Jacuzzi tub. 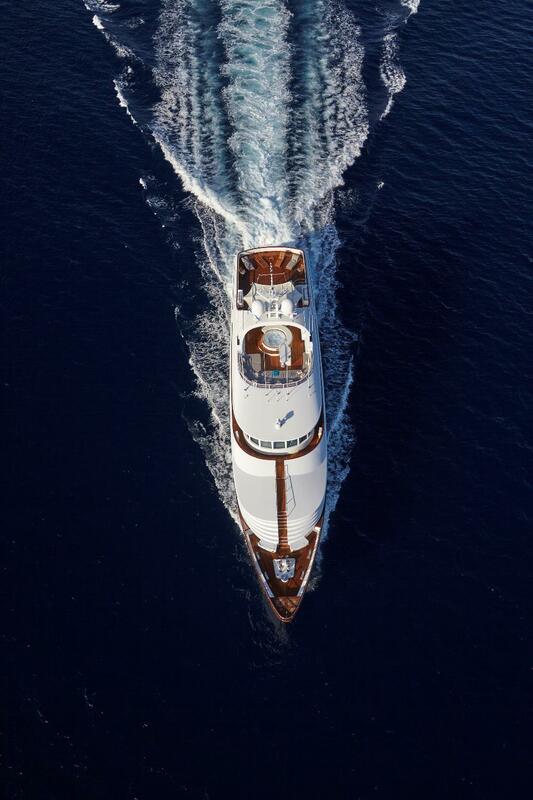 Powered by 2 x Deutz 620 V-12, 2285hp engines, the CRN motor yacht she cruises at 13 knots and can reach top speeds of 16 knots. 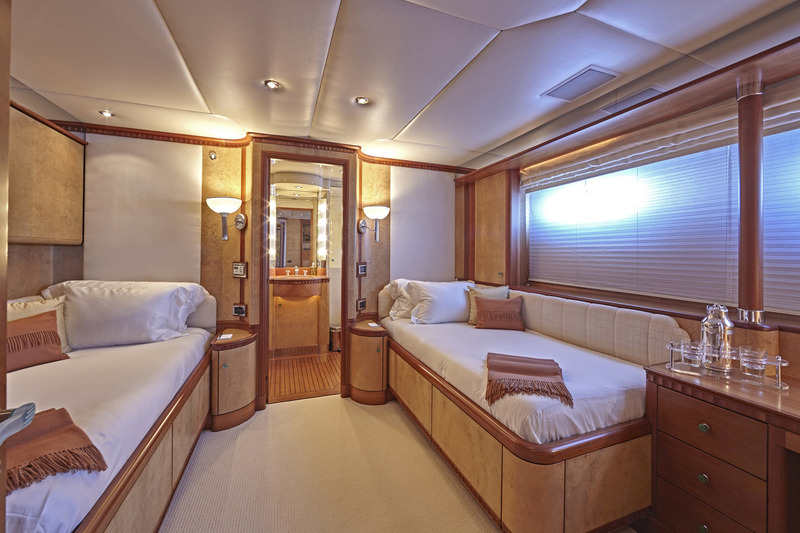 LADY ELLEN II has accommodations for 10-12 guests in 6 beautiful Zuretti designed cabins spread over 3 decks. 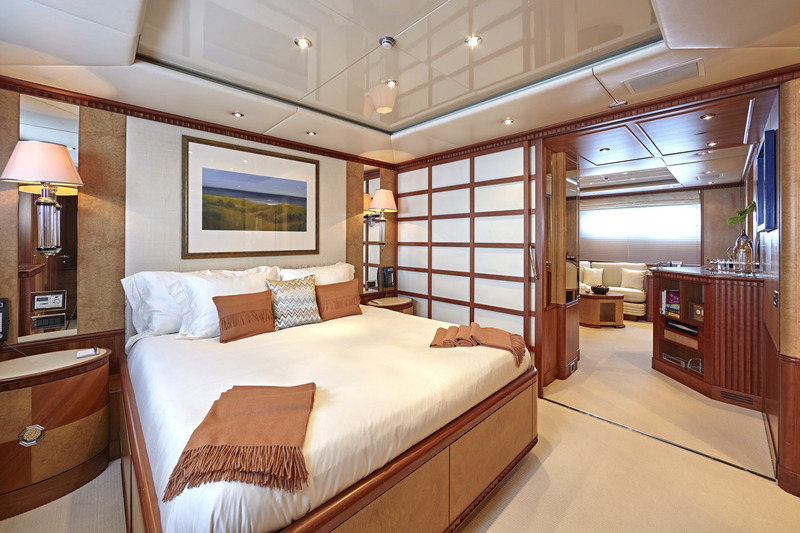 Her full width master cabin with a king size bed offers good views on both sides, and with no side decks forward, maintains privacy. 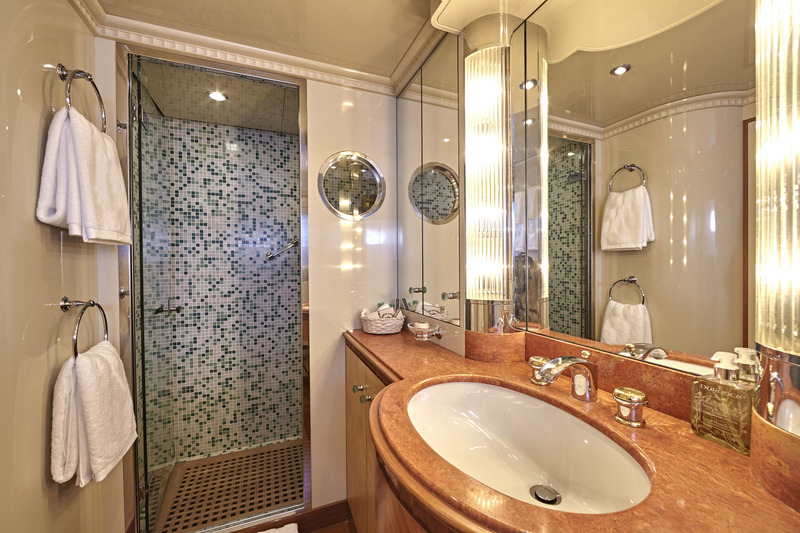 Also on the main deck is a smaller double cabin with ensuite shower room. 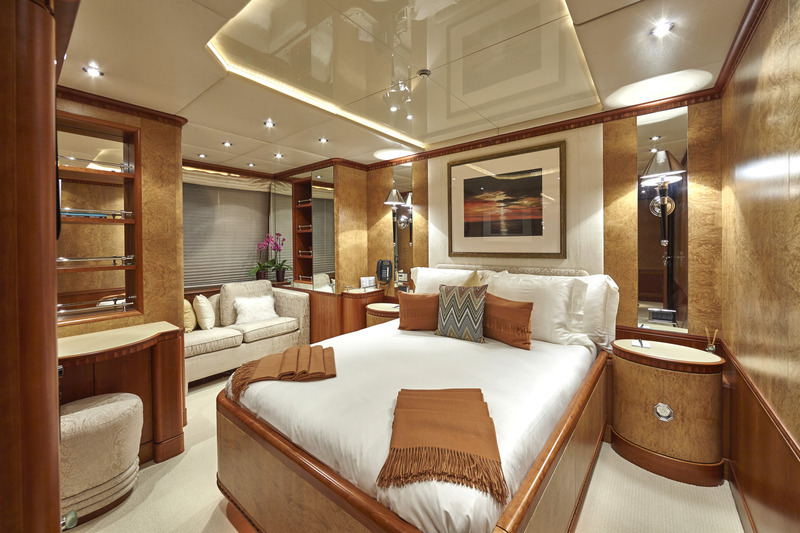 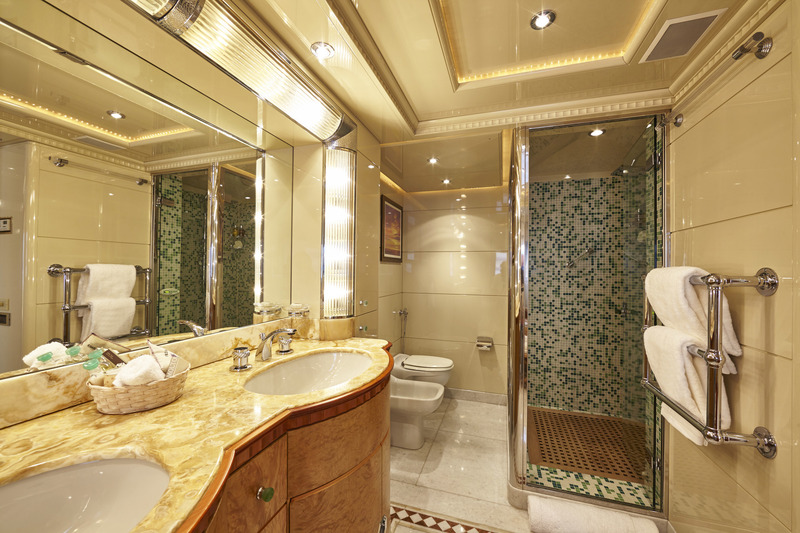 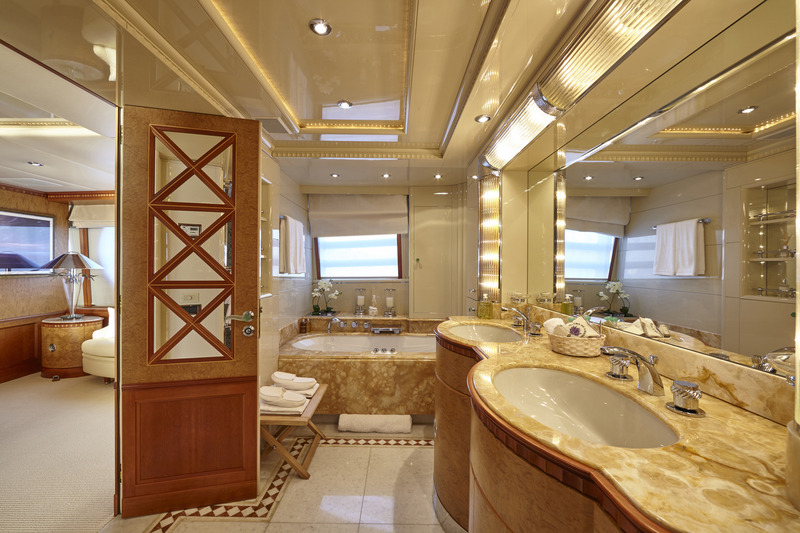 Her full width VIP stateroom with a king size bed on the lower deck has separate bath and shower rooms, which along with two twin cabins and an upper deck single provides accommodations for 10-12 guests. 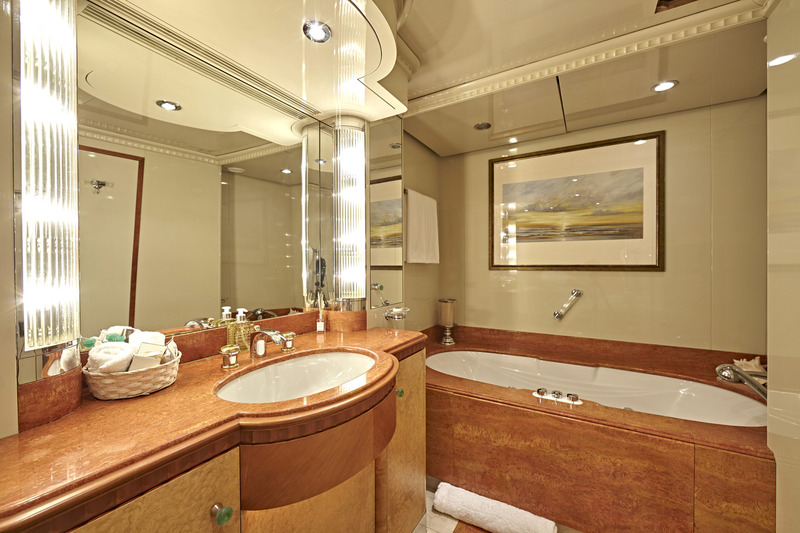 Berth sizes: Master stateroom King:6.9'L x 6.9'W VIP stateroom King: 6.5'L x 5.10'W Twin staterooms: 6.6'L x 3.4'W Ceiling height throughout yacht: 6.8'.